Here at Advanced Health Center, we have been able to help many patients overcome severe pain in the back and the neck through spinal decompression treatment. 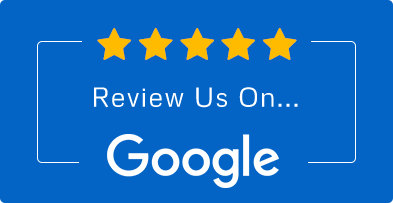 Several of these patients had previously tried traditional medical approaches to dealing with the pain, but they found little or no lasting relief for their suffering until they came here to see a chiropractor. Dr. Angel Carrion and Dr. Lisa Noto are pleased offer our patients both lumbar and cervical decompression to help relieve pain from pinched nerves, sciatica, bulging and herniated discs, degenerative disc disease, acute injuries and post surgical pain. Our decompression technique is an FDA-approved chiropractic technique that effectively relieves back pain and neck pain. When patients come to us with back or neck problems, either from an injury or from years of repetitive stress, they are usually in a lot of pain. Whatever the cause, injured, bulging, compressed or herniated discs can cause pain, tingling and numbness throughout the body from pinched nerves. Fortunately, this treatment offers a way to not only relieve that pain temporarily, but enable the body to heal so that patients can become stronger and get back to living the normal, active, pain-free lives that they thought they'd never live again. This treatment, which takes place over several sessions, helps the body to release its own inner healing mechanisms by taking pressure off of the injured discs and compressed nerves. 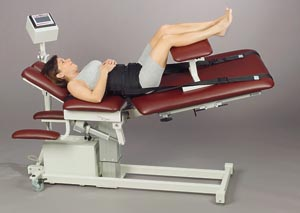 The patient lies down on the treatment table while the chiropractor controls the computer-guided system that uses gentle traction force to separate the vertebrae and decompress the injured disc. This traction force incrementally and gently pulls the spine into a natural position, which takes pressure and strain off of pinched nerves. Once this pressure is released, the resulting vacuum effect gradually pulls injured discs back into shape, which allows blood, nutrients and oxygen to flow through the injury site and the body. This enables the body to kick start its natural healing processes. Although the process may sound strange to those just hearing about it for the first time, decompressing the spine is actually a very comfortable, gentle and non-invasive treatment. Most of all, it is effective. In fact, we have even had patients doze off during these treatments because they were so relaxed. After having suffered for so long from debilitating pain, the release of pressure on the injured disc or discs has been a welcome and long-sought after relief for many of them. Dr. Angel Carrion and Dr. Lisa Noto are highly skilled at using this treatment and we invite everyone in Hackensack throughout the Bergen County region who is suffering from a painful back or neck injury to call us for more information about how decompressing the spine may be able to help them stop suffering and regain their lives. Call us at 201-489-3400 today!